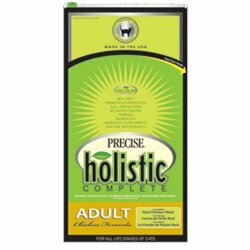 Precise Holistic Complete is a formula with no by-products, real meat as primary ingredient, vitamins and minerals package in a way to be more easily absorbed by the animal. Precise Pet Food production plant has received a SUPERIOR category from the AIB, (American Institute of Baking), an institute that assesses food safety risks and compliance, with human food standards. They haven’t had any FDA recalls in 82 years producing pet food. This review it’s for Precise Holistic Complete Adult Chicken Formula and we will analyze its first 5 ingredients with rating , Pros and Cons and final conclusion. 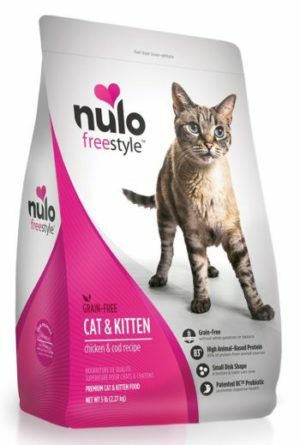 If your cat loves chicken, this is the food you have to get for your pet. With a formula based on probiotics, omegas 3 and 6, cell protectors that promotes your cat immune system, herbals, botanicals and antioxidants, it’s an excellent option for cat chicken lovers because this recipe has real meat chicken as primary ingredient, 32% of crude chicken and 20% of crude fat. 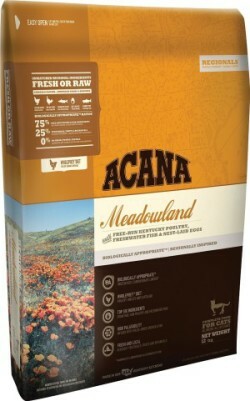 No other vitamins, minerals or supplements are necessary when you feed your cat this food. Chicken, Chicken Meal, Ground Brown Rice, Oatmeal, Chicken Fat (preserved with Mixed Tocopherols and Ascorbyl Palmitate), Dried Egg Product, Citrus Fiber, Natural Flavor, Lecithin, Menhaden Fish Oil, Dried Kelp, Dried Carrots, Dried Cranberries, Dried Blueberries, Chamomile, Dandelion, Peppermint, Rosemary, Turmeric,Bacillus coagulans GBI-30 6086, Chicory Root (a source of Inulin), Potassium Chloride, Salt, Calcium Carbonate, Yucca Schidigera Extract, Calcium Ascorbate (source of Vitamin C), Phosphoric Acid, Taurine, Vitamin A Supplement, Vitamin D3 Supplement, Vitamin E Supplement, Vitamin B12 Supplement, Iron Amino Acid Chelate, Cobalt Amino Acid Chelate, Riboflavin Supplement, L-Lysine, DL-Methionine, Niacin, Calcium Pantothenate, Manganese Amino Acid Chelate, Zinc Amino Acid Chelate, Choline Chloride, Folic Acid, Biotin, Thiamine Mononitrate (B1), Pyridoxine Hydrochloride (B6), Sodium Selenite, Calcium Iodate, Copper Amino Acid Chelate. Crude Protein 32.00% (min);Crude Fat 20.00% (min);Crude Fiber 3.00% (max);Moisture 10.00% (max);Ash 7.00% (max);Magnesium (Mg) 0.095% (max);Calcium (Ca) 1.10% (min);Phosphorus (P) 0.85% (min);Taurine 0.20% (min);Ascorbic Acid (Vitamin C) 23 mg/lb (min)*. 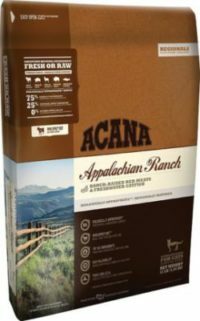 *Not recognized as an essential nutrient by the AAFCO Dog Food Nutrient Profile. What are the Pros and Cons of Precise Holistic Formula? It informs some of the 11 essential aminoacids cats need in food’d nutritional analysis. It contains brown rice which does not add much proteins. Availability to find it in stores. 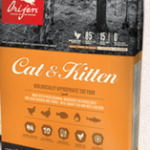 Precise Holistic Chicken Adult Formula it is a good dry cat food which balances high concentrated sources of proteins with not very high in proteins ingredients, such as brown rice. The largest proportional content of a cat food is within the first 5 ingredients, however I consider the first 3 to rate a cat food. This is because the first 3 ingredients show best the quality of the proteins. Considering its 3 main ingredients, the average rate of this cat food it’s 3. Taking down 1/2 of a star because it has carbohydrate in the first ingredients, the final rate it’s 2.5 which is not excellent. Very Important Point: Dry cat foods don’t provide enough water to cats and they must be complemented with canned wet food and giving cats plenty of water at all times. The cat’s water intake must come from food and water. In a mixed diet with dry and wet cat food high in proteins. Feeding your cat Precise Holistic Complete Formula “Wild at Heart River Line”, because it’s recommended for cats with candida/yeast problems. For a very active cat that needs energy from food. If you don’t want any carbs in your cat’s diet. If you want a cat food containing all the essential amino-acids. If you want to check more dry cat food reviews click here. Precise Holistic is on the list of recommended pet food by Nzymes.com. Corporation dedicated to the health and welfare of people and pets all over the world. please tell me which food to feed my cat. needs away time from chicken and turkey and duck. many make her sneeze and itchy eared. I am burned out and close to break down. Hello Brijane, the dry cat food “Wild Calling Rabbit & Sweet Potato” doesn’t contain chicken turkey or duck. However, this formula contains “turkey fat” as the 5th ingredient. Hopefully, turkey fat won’t affect your cat. Hope that helps!